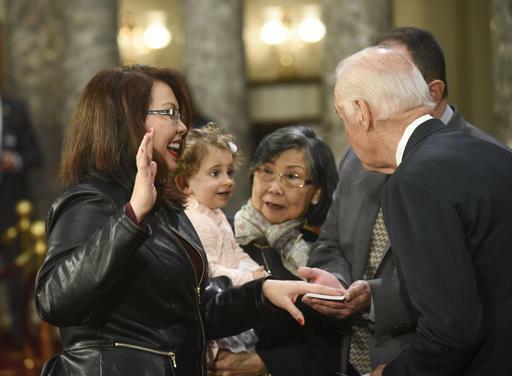 “Bryan, Abigail and I couldn’t be happier to welcome little Maile Pearl as the newest addition to our family and we’re deeply honored that our good friend Senator Akaka was able to bless her name for us—his help in naming both of our daughters means he will always be with us. “Pearl Bowlsbey Johnson was Bryan’s great Aunt, an Army Officer and a nurse who served during the Second World War. He spent many summer months with her while growing up, we feel her presence still and are grateful for her service to our nation during the most challenging of times. 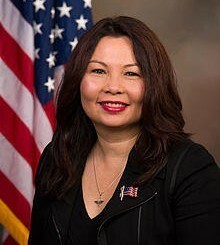 Through millions of American women have become mothers while continuing their careers, Senator Duckworth is one of only 10 women since our nation’s founding who have given birth while serving in Congress. Her experiences as a working mother give her an important—and underrepresented—perspective in the halls of Congress, where she has long advocated on behalf of working families.